FAI chief executive John Delaney has insisted Roy Keane's turbulent past is irrelevant to his impending return to the international stage. In confirming Martin O'Neill's imminent appointment as Republic of Ireland manager, and with it Keane's installation as his number two more than a decade after he made an infamous exit from the 2002 World Cup finals in the Far East, Delaney was adamant those events in Saipan have nothing to do with the future of Irish football. Speaking to RTÉ, Delaney described talks with the former Manchester United skipper as "brilliant" and insists that the FAI and Keane will have no problems working together. “There’s lots written about Roy Keane and John Delaney and Roy Keane and the FAI or whatever may be. I’ve never really spoke to Roy Keane on my own," Delaney said. “We’ve all said things in the heat of the moment and look back and say ‘God I’m sorry I said that, or I shouldn’t have said that’ or maybe there was a different context at the time. "But when we met last week I was very impressed by him and very taken by him. “We spoke about the past for about 30 seconds and we all agreed, Martin O’Neill, Roy Keane and myself, that we need to do the best for Irish football, we want to make Irish football great, we want to go to a major tournament in France in 2016 [European Championships] and work together as a team. “We met that night, we met the following morning and I’ve been speaking to him – text messages or whatever it is – and everything has been absolutely brilliant so far." Keane famously questioned Ireland's preparations for the 2002 tournament in a bust-up which led to a stand-off between him and then-manager Mick McCarthy, and their differences could not be bridged, meaning that Ireland's captain played no part in the World Cup. 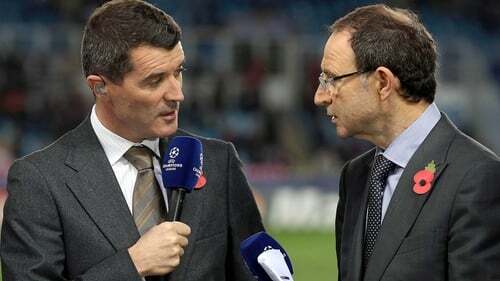 However, all parties are eager to let bygones be bygones, following Keane's decision to accept O'Neill's overtures to assist him after the Northern Irishman was approached over the vacancy left by Giovanni Trapattoni in September. Former Northern Ireland international O'Neill could now find himself thrust into the controversy over players from the North opting to play for the Ireland, as they are entitled to do, with Darron Gibson and James McClean among those to follow that route. However, Delaney said: "That will be asked because of Martin being from Derry but, over the years, Marc Wilson, Darron Gibson, James McClean and players like that did declare for us and that will go on through the course of time. 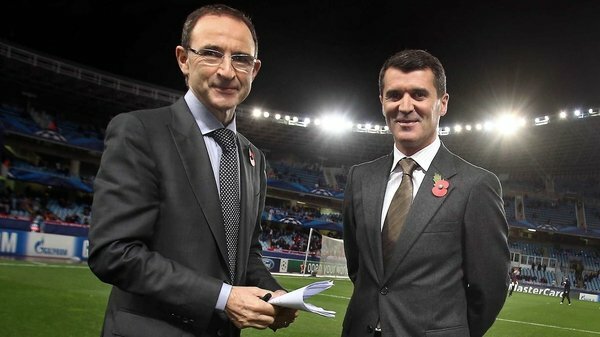 Should O'Neill and Keane be confirmed in their posts at the weekend, they will be in position to prepare the players for friendlies against Latvia in Dublin and Poland in Poznan later this month. The squad is due to meet up for training in Malahide on Monday morning ahead of the first game against the Latvians at the Aviva Stadium next Friday evening. But their main focus will be on preparing the players for the resumption of competitive action in September next year, when the Euro 2016 qualifying campaign is due to get under way. Ireland qualified for the Euro 2012 finals under Trapattoni via the play-offs, having narrowly missed out on the 2010 World Cup finals in South Africa via a similar route. However, they finished a distant fourth behind Germany, Sweden and Austria in their Group C campaign for next summer's World Cup finals in Brazil, and that ultimately cost the 74-year-old Italian his job as successive defeats by the Swedes and the Austrians left them facing an impossible task. Under-21s boss Noel King took charge of the side for the last two qualifiers, a defeat away to Germany and victory at home to Kazakhstan.